If you’ve read the title of this article, you now know my new mission in life. I have 50 places to visit and strike them out of the list one by one. 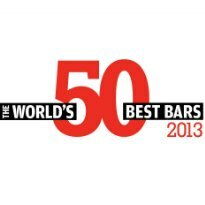 The World’s 50 Best list is created by an Academy, which consists of a group of people that are among the most influential and knowledgeable in the bar industry. Academy members include industry legends, world-class bartenders, champion brand and category ambassadors, as well as bar owners and bartenders from our previous top 50 lists. This year, almost 230 voters from around the world were welcomed. This is no ordinary 5-star hotel bar. If you want the trappings of tradition, you can have them because the chaps behind the stick know their classics. But if you want something a little, well, out of the ordinary, you’ve come to the right place. For a start, there’s a slushy machine and now the bar also boasts both pandas and goats.